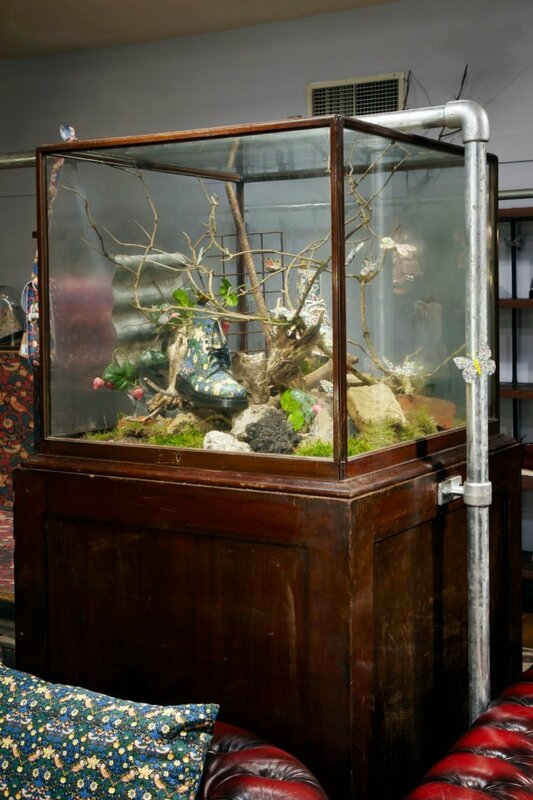 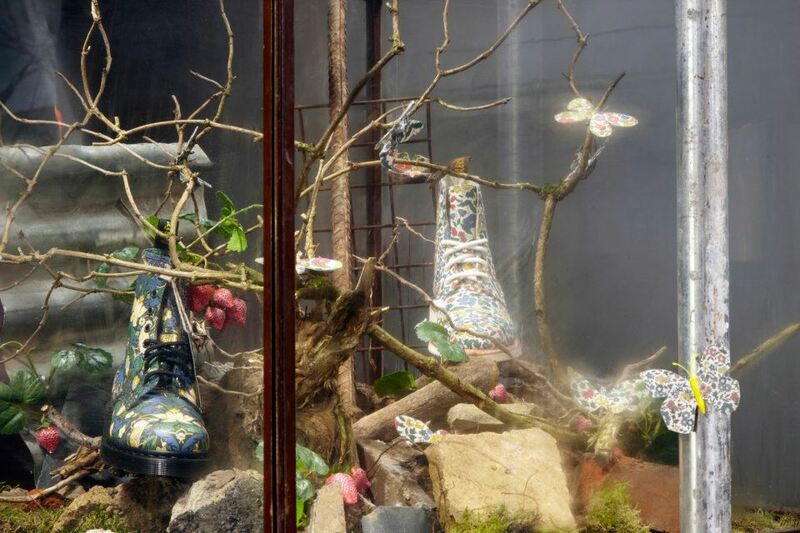 I always have a look at the window displays around town. Two I particularly like are American Apparel and Liberty's spring summer windows. 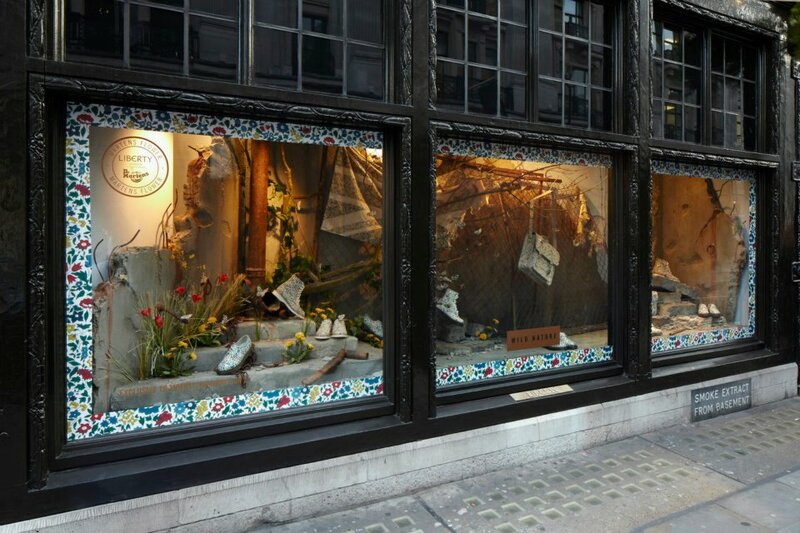 The displays at American Apparel on Carnaby street, consisted of over sized flower heads. 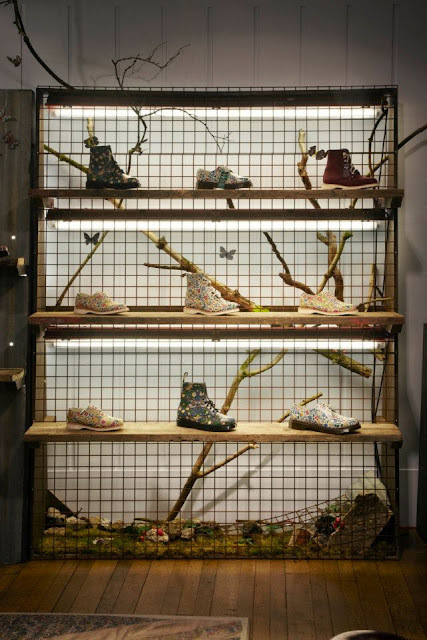 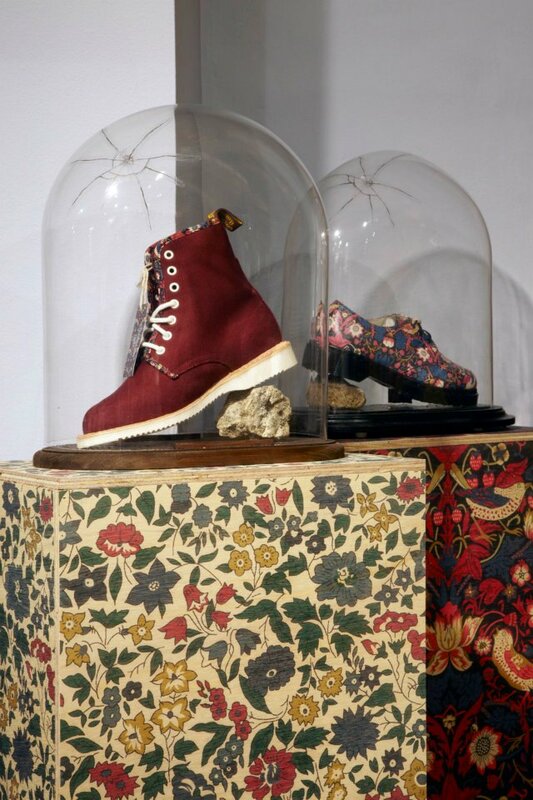 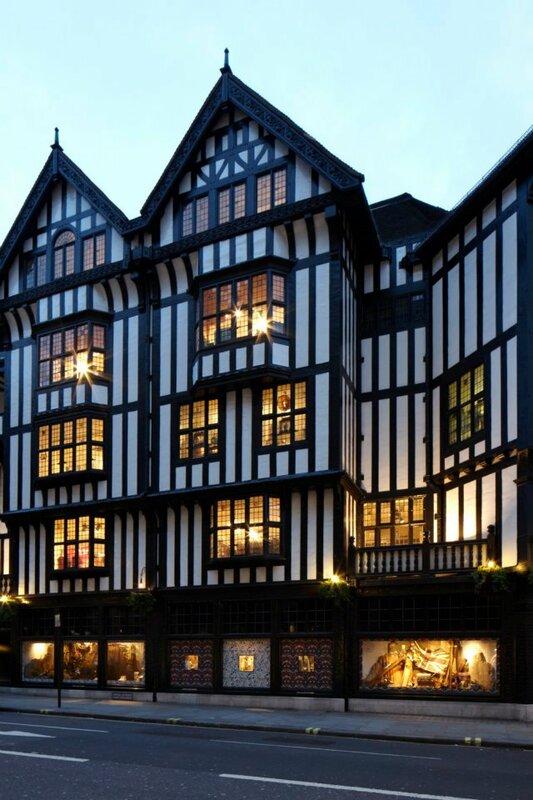 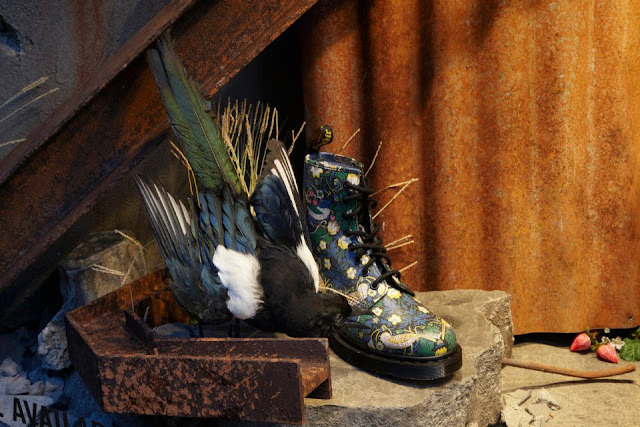 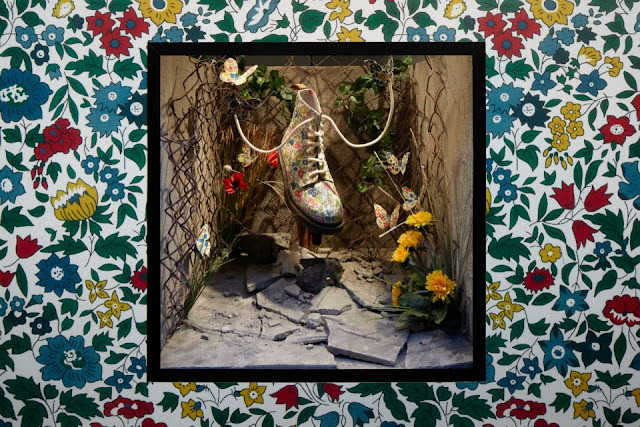 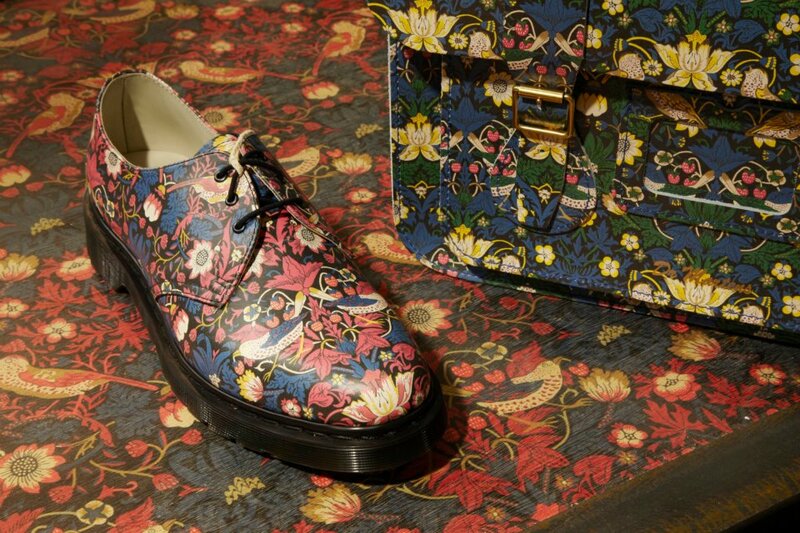 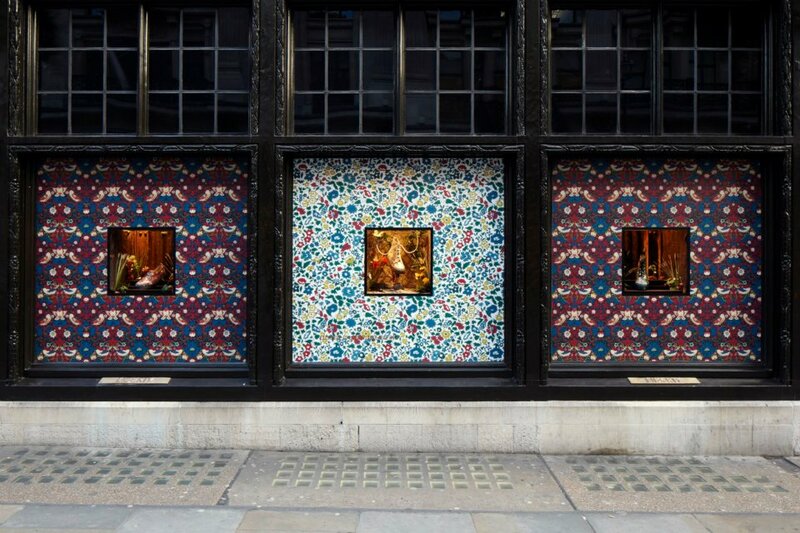 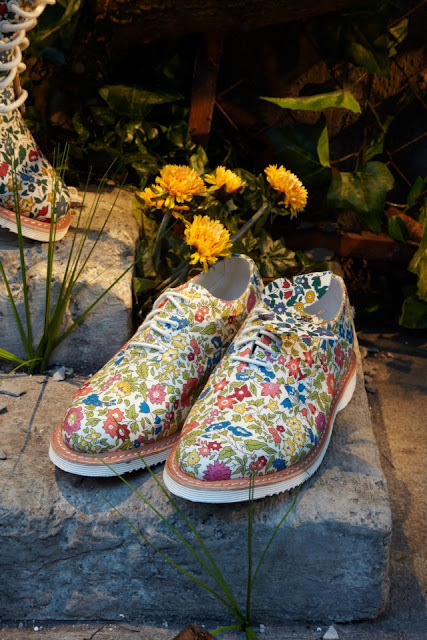 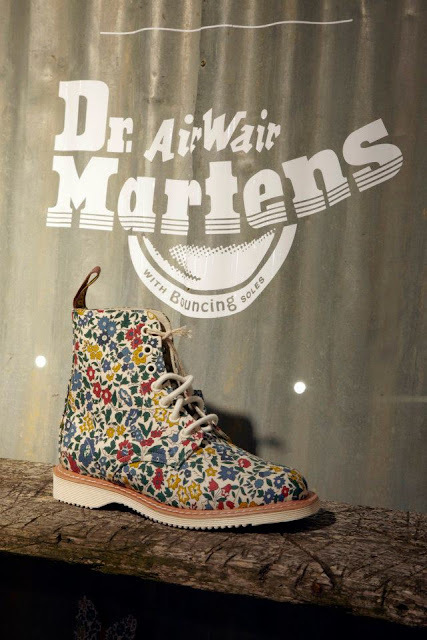 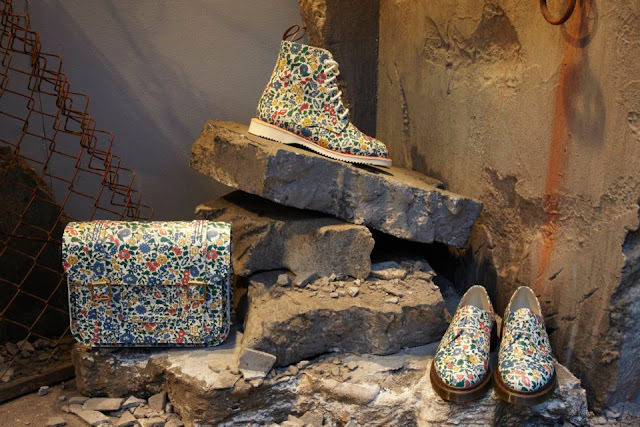 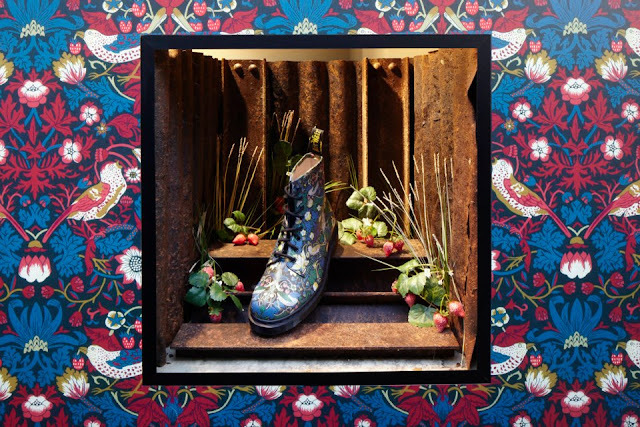 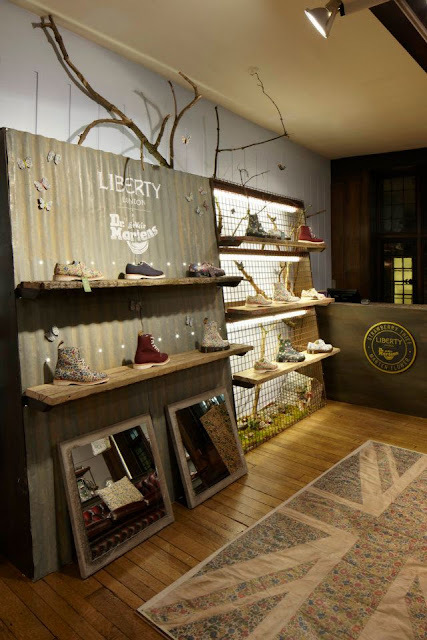 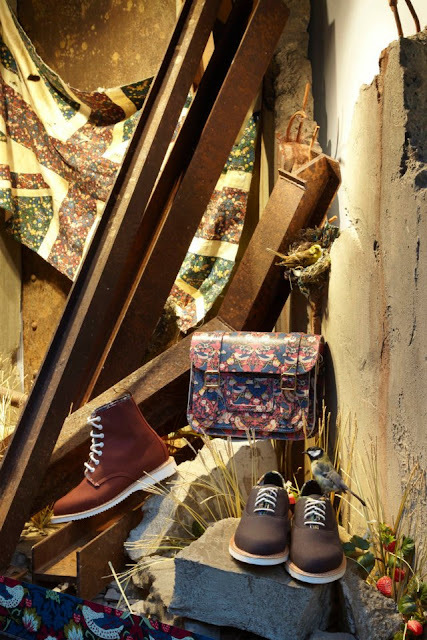 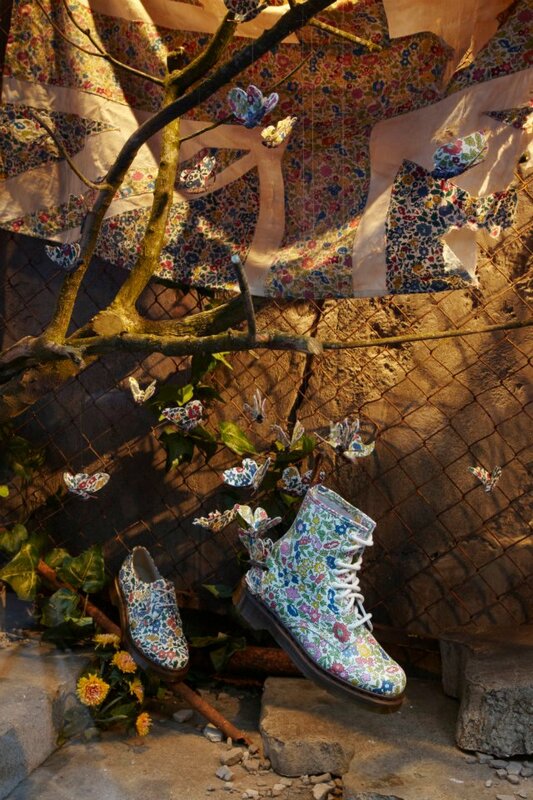 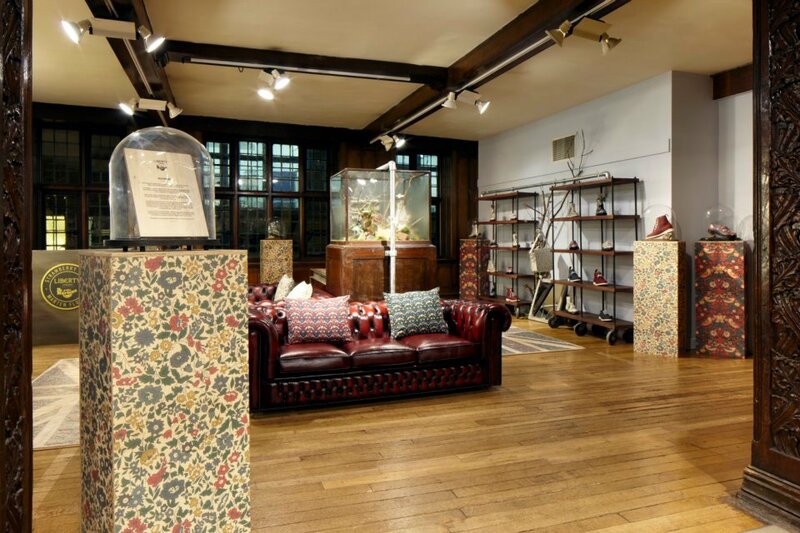 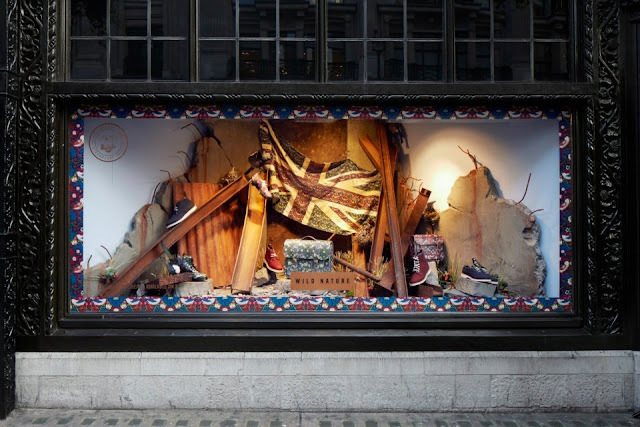 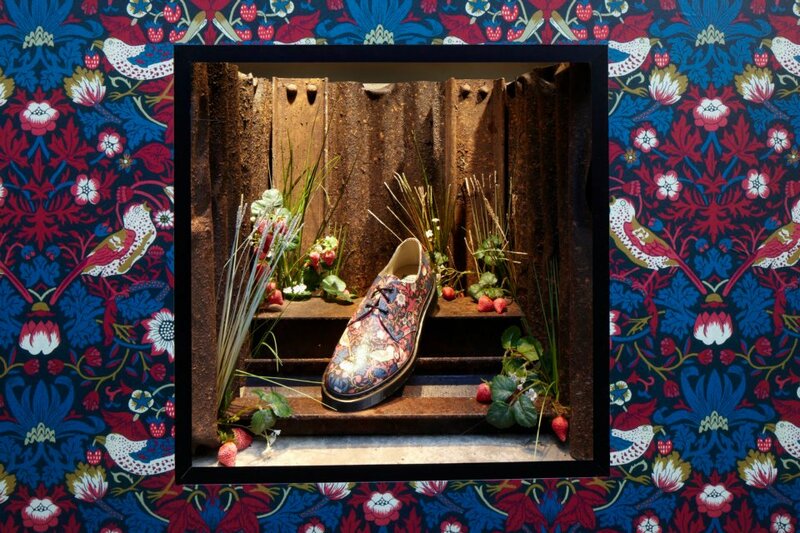 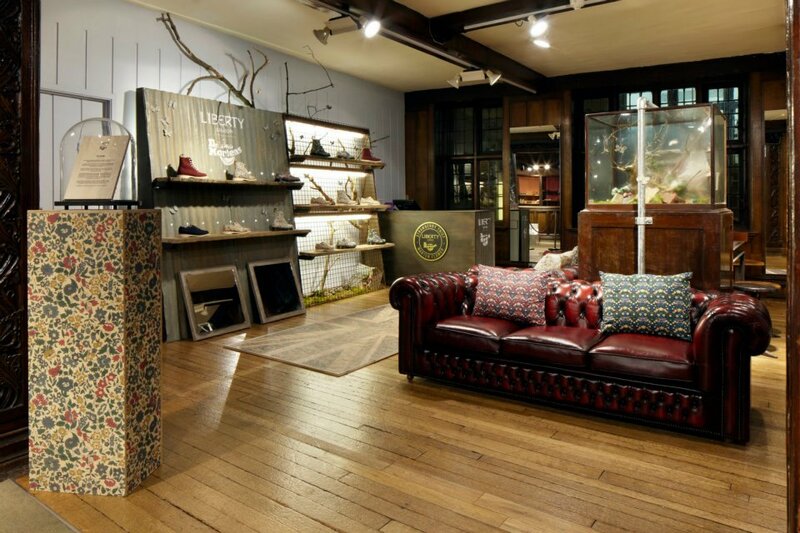 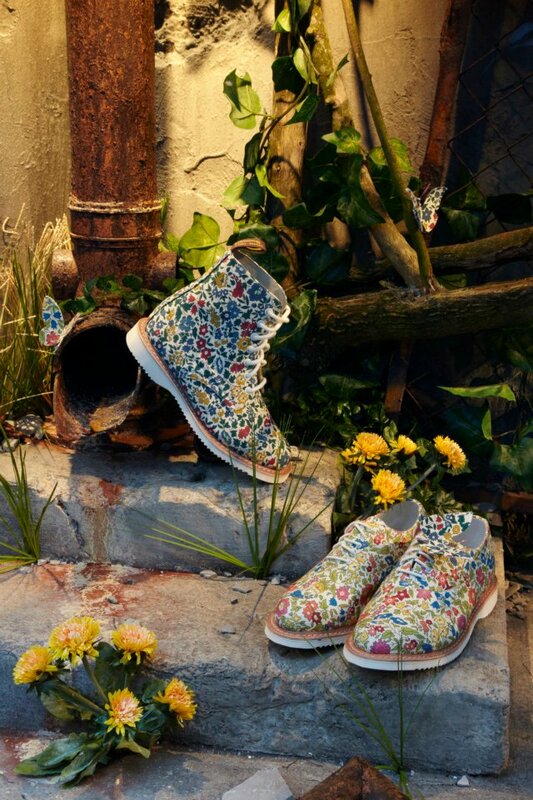 Whilst at Liberty's the windows are of their collaboration Dr Martens. 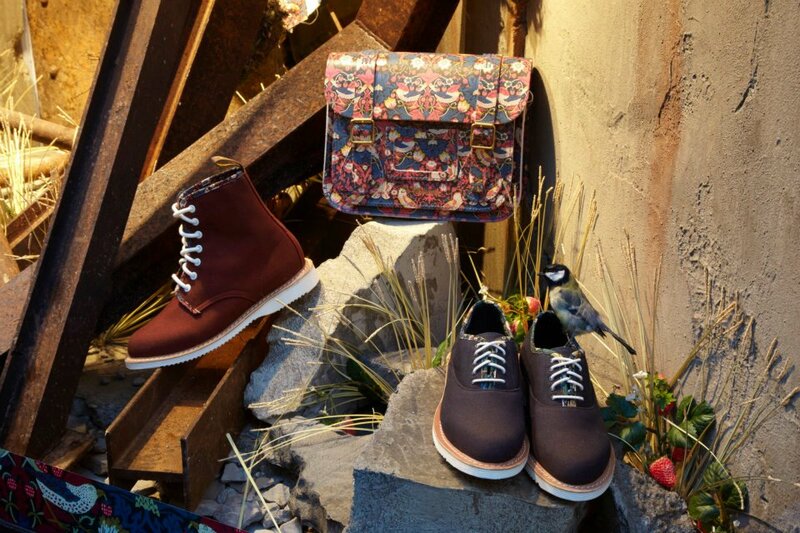 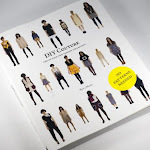 Boots and bags, my favourite is the Strawberry Thief design.